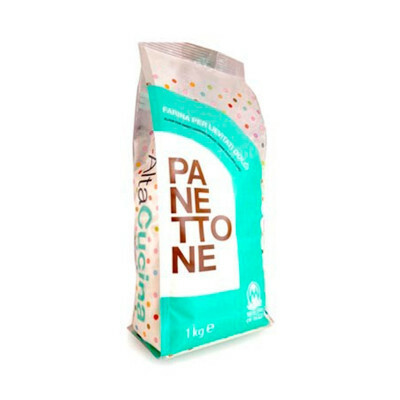 Are you planning to bake by your self Panettone this year? No pressure, we can help you! Use this wheat flour type 00 grinded by cast iron cylinders, as it's perfect for the preparation of panettone, colomba, pandoro and great sweet leavened! Strong flour , the result of the mixing of soft wheats naturally rich in gluten, studied for the production of leavened. In the long work in yeast she makes the best of its potential. Ideal for complex machining where you make several successive bodies and long rising (panettone, pandoro, dove and large leavened in general) and in which you add high amounts of fat or candied fruit.